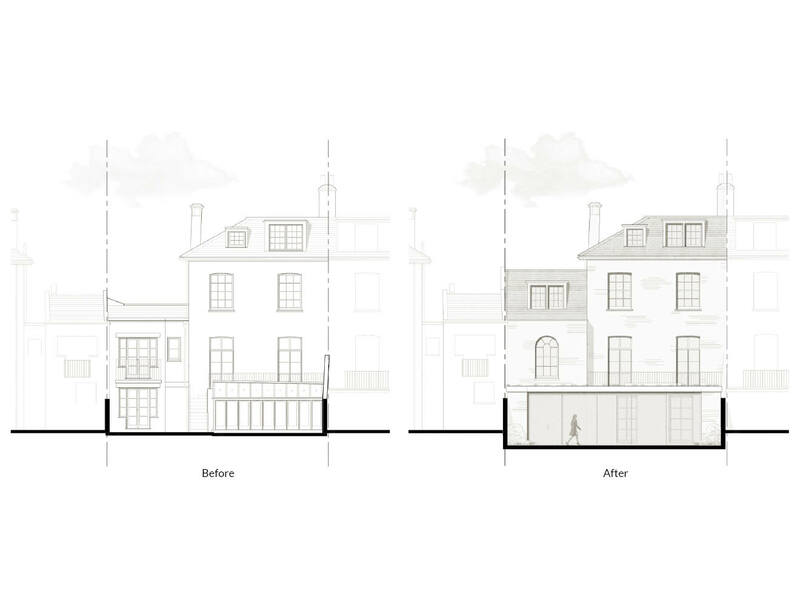 Alex Tart Architects have succeeded in securing listed building and planning consents for a sizeable full width contemporary rear extension and internal remodelling of a Grade II listed house on Castelnau, Barnes in the London Borough of Richmond. The work includes a roof extension and an additional floor over the coach house (to the side of the property) and also a rear lower ground floor extension. Our extensive experience on listed buildings and in Richmond’s conservation area, has been pivotal in securing the substantial alterations in a single application. 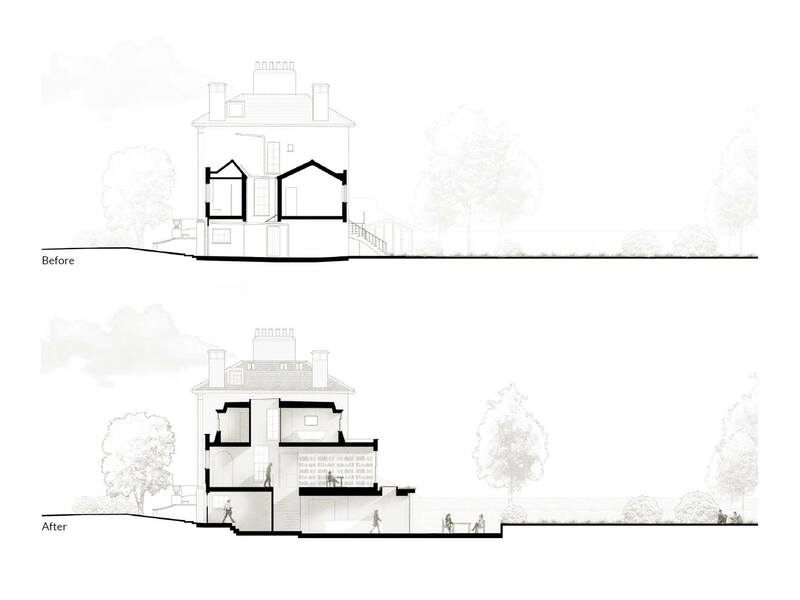 We adopted a particularly sensitive approach to the design within the context of the property’s Grade II listing and wider Castelnau Conservation Area. 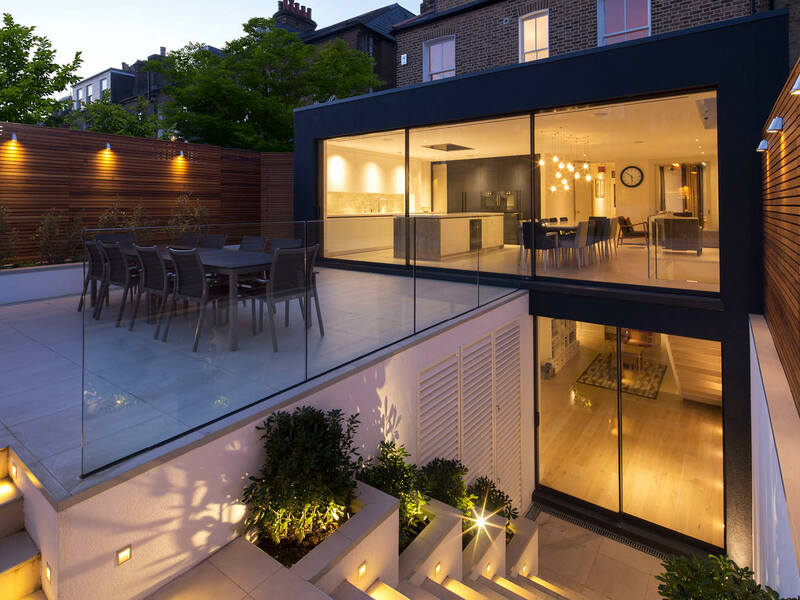 The design maintained a clear distinction between the traditional façade and new contemporary extension. This led to a smooth planning process without issue. 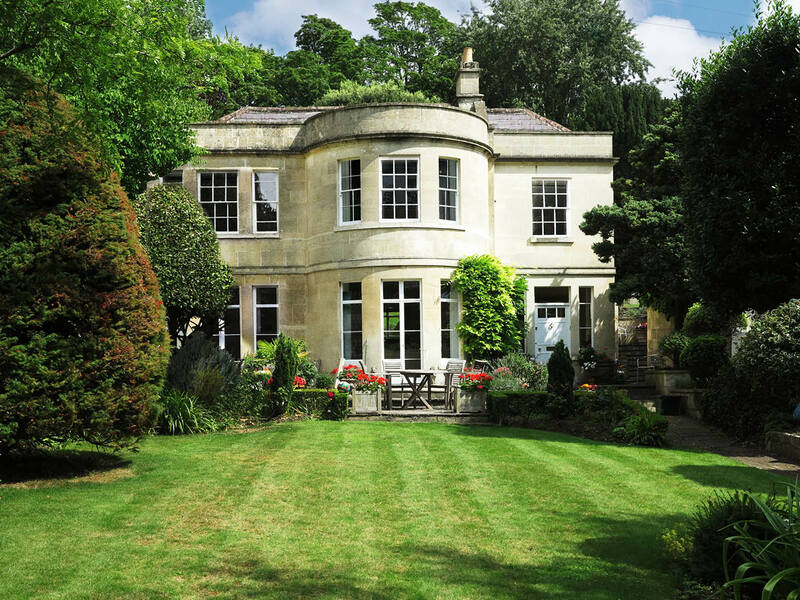 The main part of the house will be renovated to provide the necessities of a 21st century family home, whilst also ensuring that key period features of architectural merit are retained. If you are planning your own project in Richmond or elsewhere please contact us so we can explain how we may be able to assist you. We look forward to hearing from you.